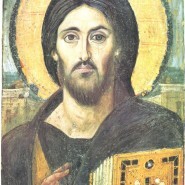 On Sunday, Aug. 22, 2010, one of our Ukrainian Catholic Churches, the Transfiguration of Our Lord at Moskalyks Spasa, Alberta, celebrated their 100th Anniversary. The Pontifical Divine Liturgy was celebrated by three Bishops: Most Rev. 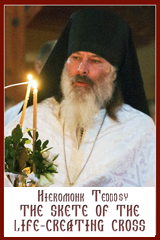 David Motiuk, Bishop of the Ukrainian Catholic Eparchy of Edmonton, Most Rev. Stephen Chmilar, D.D., Eparch of Toronto and Eastern Canada and Most Rev. Ken Nowakowski, Eparch of New Westminster along with concelebrants Rev. Ignatius Holowaychuk, OSBM, Rev. Josaphat Tyrkalo, OSBM and Deacon Jim Nakonechny. There were more than 200 people who came to celebrate this wonderful event, including Alberta’s Priemer Ed Stelmach and his wife Maria.